Mercedes-Benz of Gainesville is proud to one of the top luxury dealers in the area serving discerning drivers from Gainesville, Ocala, Orlando, The Villages and the surrounding areas. When you visit our Gainesville car dealership, not only will you find an extensive selection of new and Certified Pre-Owned vehicles available to test drive, but you’ll also find a state-the-art maintenance and service center managed by Mercedes-Benz certified technicians. These dedicated experts are always at your service and ready to provide you the maintenance and repair services you need throughout the life of your vehicle. If you would like to perform auto repair service at home, we have an extensive parts center to provide you with everything you need. Our luxury auto repair and maintenance list include: tire rotations and balancing, full synthetic *oil changes, brake fluid service and more. Just as you would never trust just anyone with your luxury Mercedes-Benz, we wouldn’t expect you to trust just any dealer with its auto service and repairs. At Mercedes-Benz of Gainesville, you’ll have the peace-of-mind of knowing that our staff is fully trained by Mercedes-Benz to work on your luxury and performance vehicle. One visit is all it’ll take for you to experience the difference. You’ll be greeted by a friendly and knowledgeable service staff member that will listen carefully to the problems your car is experiencing or the service you’re requesting; then they will provide recommendations for a course of action based the information you have provided. Then one of our certified technicians will further inspect your vehicle and make his or her final assessments while walking you through the entire process in a professional manner. At our Gainesville car dealership, you’ll know exactly what’s going on with your vehicle at all times. These expert technicians can handle everything from your standard manufacturer recommended engine *oil change service to transmission repairs and everything in between. 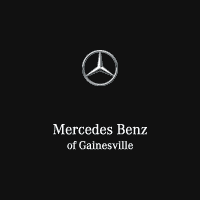 Mercedes-Benz of Gainesville also offers Mercedes-Benz Express Service with an extensive list of available services that can be done in about an hour. Plus, we routinely offer Mercedes-Benz service coupons and discounts to our loyal customers so you can save on your next maintenance or repair. It is recommended to check back frequently for price changes and other offer updates on the services you may need throughout the year. At Mercedes-Benz of Gainesville, we want every experience with us to be a pleasant one. That’s why we work hard to provide our customers with ways to make their lives easier while maintaining the best service possible. Because we know you’re busy and may have more than one vehicle at home, now you can bring all of your household cars to our service center. Our certified technicians can handle service on all models, with the unmatched expertise on the moving parts that make your luxurious vehicle a Mercedes-Benz. Now you can breathe easy knowing that you can make one single trip to our dealership, instead of going to multiple locations around town. We’re even open on Saturday for added flexibility. It’s just another way we put our customers first at Mercedes-Benz of Gainesville. Not sure if your Mercedes-Benz or your other car needs service? Check your vehicle manufacturer’s suggested maintenance schedule or simply bring it in. Remember, it’s especially important that you get more frequent oil changes if your car is over 75,000 miles. If your car way over that amount, it may even need a high-mileage oil. If you aren’t sure whether your vehicle needs high-mileage oil, premium motor oil or regular conventional oil, bring it in and we’ll be more than happy to help. Remember, our friendly and knowledgeable repair and maintenance staff at Mercedes-Benz of Gainesville will walk you through all your necessary repairs and maintenance services in a transparent and respectful manner. Whether it’s an oil leak, replacement of your alloy wheels, a rip in your leather seats, or tire mounting and balancing, let our professional service department take care of your luxury vehicle and get you back on the road safely and efficiently. Mercedes-Benz of Gainesville proudly serves drivers from Lake City, Ocala, Orlando, The Villages and the surrounding areas. Schedule a service appointment with us today! **Price advertised for Service A/Service B includes all factory-required components. Please refer to your maintenance booklet for the complete list of factory-required services and details on the specific intervals for your vehicle’s year and model. (Valid for MY09-newer).